I prepared in advance paper with heart shapes I drew with white crayons – so it seems like a blank page. I asked my daughter to cover the paper with watercolors. 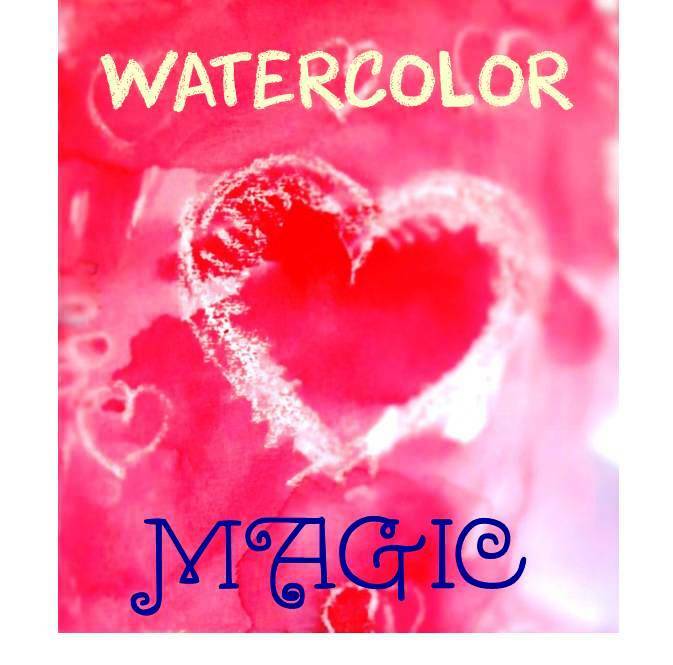 She was memorized seeing the heart shapes “magically” appeared on paper, while she was covering the page with colors. She truly believed it was a magical colors. Even so I wanted her to keep this beautifully naive magical feeling, I showed her how this “magic” works so she can make her own drawings. 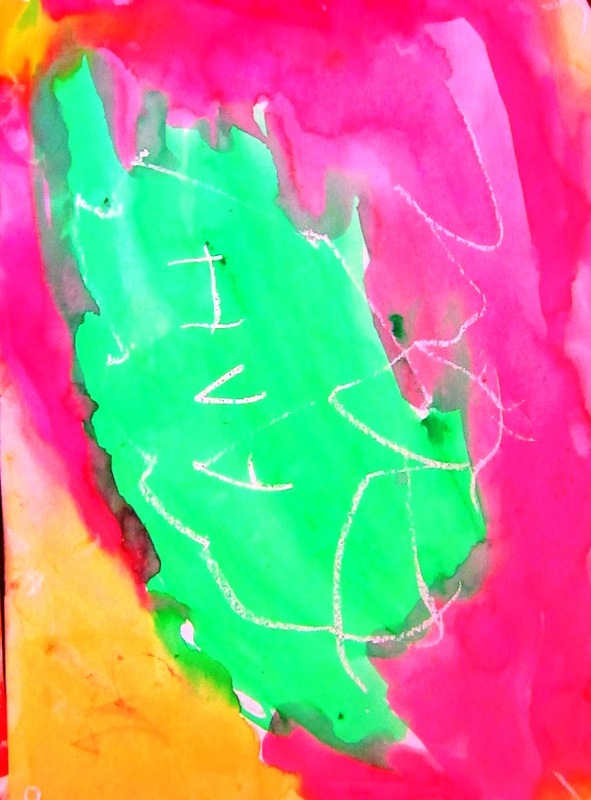 My daughter was so fascinated with the process, she made a whole bunch of colorful pictures. Maybe I am not objective here, but I think her work is far more beautiful than the one I prepared for her. 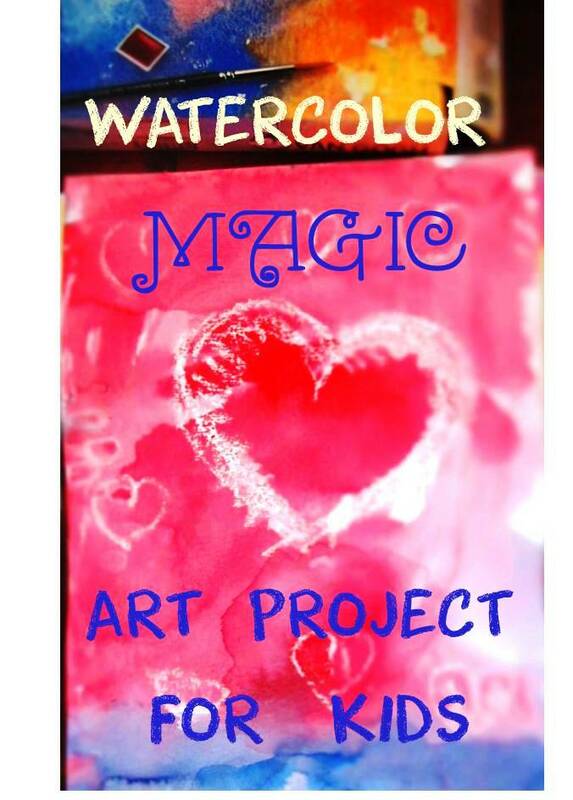 I am absolutely shure you kids will enjoy this simple but yet fun colorful project.